Now available on Amazon Kindle for $4.99. 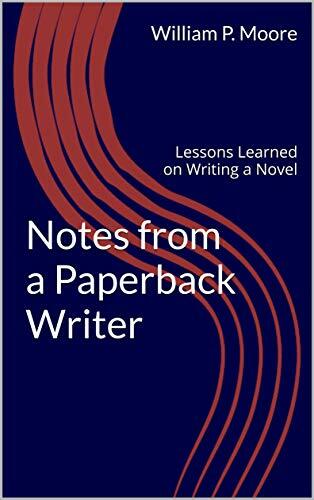 Posted in promo, Writers' Corner and tagged advice to novelists, how to write a novel, ways to finish your novel, writing fiction on April 18, 2019 by Wm P.
A simple, well-written, and passionate story about Central and South American immigrants adjusting to a new life in the USA. 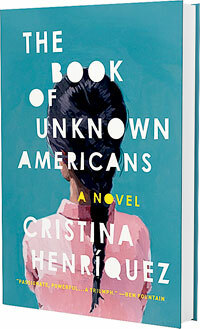 The family characters are vivid and likeable, and the conditions and human dramas in their new less-than-desirable home in Wilmington, Delaware make it a page-turner. There is fiery romance and pending tragedy between Maribel and Mayor, which is the heart of the book. There is a lot to be learned here by gringo readers. Down and out, a book of three or four people still hanging in there in coastal Mississippi after Hurricane Katrina. Being mean, being sweet, being survivors. It’s Vaughn the architect’s story, simple yet complex (owing to his constant soulful introspection). Once again, like in his classic novel “Tracer,” we see a man who is separated and dashing proceed in his everyday life with a new girlfriend, who somehow/someway is tolerant of Vaughn’s getting back together with his ex-wife. All three end up in one house at one time, in a Tennessee Williams sort of crucible, making for a survival of a different kind. I didn’t like the three characters that much to fall in love with the book, and the dynamics came across like something I’d already read before. Still, I remain a big Rick Barthelme fan. Not many out there are writing from their heart and soul about everyday American men. He does it with truth, fairness, and guts. I’ve been trying to read this book for years and in March made it farther than I have before, which is still less than 25% in. Ellison’s writing is true to the times, in the sense that it’s wordy, strident with complaint, indulgent in artsy be-bop, and filled with tangents, a style largely unagreeable to today’s more impatient “give it to me stoic and straight” readers. I wondered early about the influence of marijuana in the author’s self-edits. Who can contest decades of critics and readers who have proclaimed this a great novel? It assuredly is, but it’s one I cant seem to settle into and press relentlessly ahead in the pages. I wish I could appreciate it for all its worth, and eventually will try again. 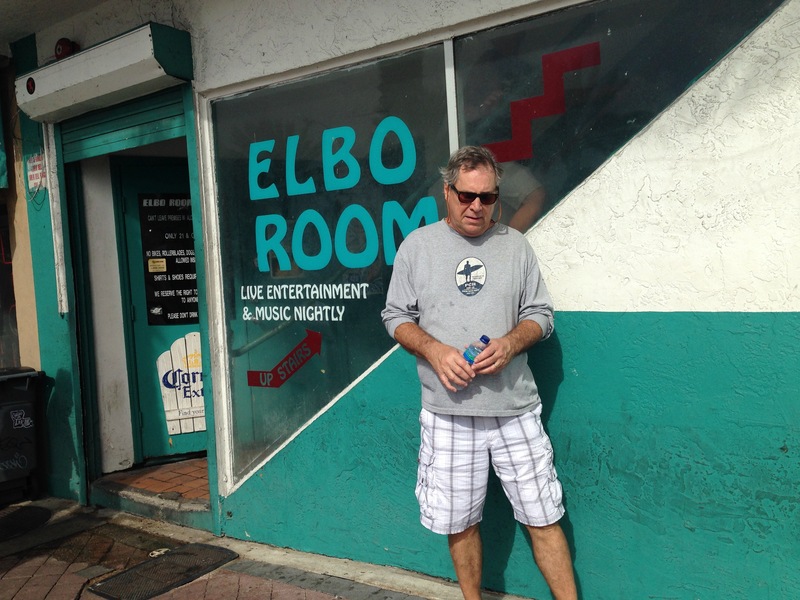 Pensive, outside the Elbo Room in Lauderdale, decades after College Spring-Breaks of Yore. Posted in Writers' Corner on April 2, 2019 by Wm P.
Here are some of the other bars I remember from the early 80s in Houston. Those were great days. If you were there, you’ll recall some of them. I’ll add to the list as they come to mind. (though some I cant remember their names). Any places you recall and want to share, send to -> wpmfla at gmail. Todd’s – Richmond Avenue area. Had the feel of a neighborhood bar, usually a good crowd, polite, well-to-do, and above all looking for love. Todds was one of the best meet markets on the Southwest Side. The dancing was full throttle by 5 pm. For the less energetic, there was backgammon. Shanghai Red’s – Red-hot happy hour with dancing and a free buffet, all with a great view right on the Ship Channel. Disadvantaged locals ate for free and left, like a community service. San Antone Rose – Cold longnecks, mixed dancing with C/W and Top 40, a little for everyone. On San Felipe, West Side. The Rose had a free happy hour buffet too. Their tamales were delicious, but smelly. You were aware of them for 24 hours after ingestion. Cowboys – A crowded sort of upscale C/W bar. I think it was on Westheimer or Richmond, out west. I was there when a fight broke out. A friend of mine got clobbered. Spats – A high-end bar and dance place in an office plaza near the Galleria. You had to know where it was. Beautiful people, heavy druggy amorous glamorous and booze-soaked. A paragon of disco’s. Munchies – an artsy ice-house on Bissonett near Rice with string quartet music and mimes. There was another great ice-house closer to Bellaire but I can’t recall its name. Yesterday Once More – best I remember it was located in South Houston. Lots of line dancing in an atmosphere of mostly Carpenter tunes ranging from the romantic to the morose. The place had a separate “Mood Room” with glass windows and couches. Marfreless – in River Oaks, an unmarked and eclectic bar for couples. Superb ambience, great mixologists behind the bar. Marf’s had sofas and curtained nooks. I went there with dates several times, one more masher in the crowd. Sillouhette Lounge – a cozy neighborhood nudie club on the unfashionable side of Bellaire Blvd. Friendly, non-threatening. They don’t make em like that anymore. Rockefellers – in the Heights, an old bank turned into a mini concert hall with big name shows and retro nightclub tables. I went on invitation from friends who were gay. Those guys were always tuned in to the trendier places in town. Cooters – I think that was the name, anyway. A large dance club and saloon on the opposite end of the shopping plaza from Todd’s, on Richmond Avenue. Had the reputation of over-served customers. Some of the baseball Astros drank there. Some of the visiting Mets were arrested there. Shamrock Hilton – The hottest place in town on March 17th. Great ballroom drunken mix. Lots of random kissing. One eventually learned to book a room far in advance. Posted in pseudophed text and tagged Houston in the Eighties on March 19, 2019 by Wm P.
In 2016, after stalling out in Chapter 1 of novel 3 (of In Search of Lost Times), I came back to re-visit and am getting into it again. I’ll need to go back and re-read that first chapter. Sometime. But for now, I started where my bookmark was, and that’s Chapter 2. Young man Marcel is now out on his own in Paris, mostly in pursuit of young women. He has enough status and station to arrange to see women by formal letter and then sends for a carriage to bring them to his room. Or in Albertine’s case, he’s around when she pops in unexpectedly. The liaisons are described in slow, tedious actions. We are to assume that Marcel is still green and tentative. His romantic interactions with Albertine (the boisterous girl from Balbec in beachy novel 2), despite the eloquence of his accounts, seem childish. While she is frank and forthcoming, he lacks the confidence and candor to be an effective lover. We see a repeating syndrome. Marcel has a thing for an older female aristocrat, as he did as a boy with Swann’s wife the courtesan Odette (and later her daughter Gilberte too). This time his object of desire is the Duchess Guermantes, who as depicted, is a powerful and beautiful woman who could drink a man’s blood like wine. She is separating from her husband and at long last returns some attention to the once-adoring Marcel. He now, and this may change in later pages, apparently has other conquests on his mind. His numb reactions to her invitations are pitiful and cringe-worthy. He doesn’t seem to have his values in order. Hovering around him as a reminder of his impetuous behavior is the omnipresent moral enforcer the housekeeper Francoise. As yet, I am not understanding his friendships with pals Bloch, Robert, and Charlus. Stay tuned for more of this report. Novel 4, Cities of the Plain, is under the same book cover. That should be fun, Only a few hundred more pages to go. Posted in booknotes on December 18, 2018 by Wm P.